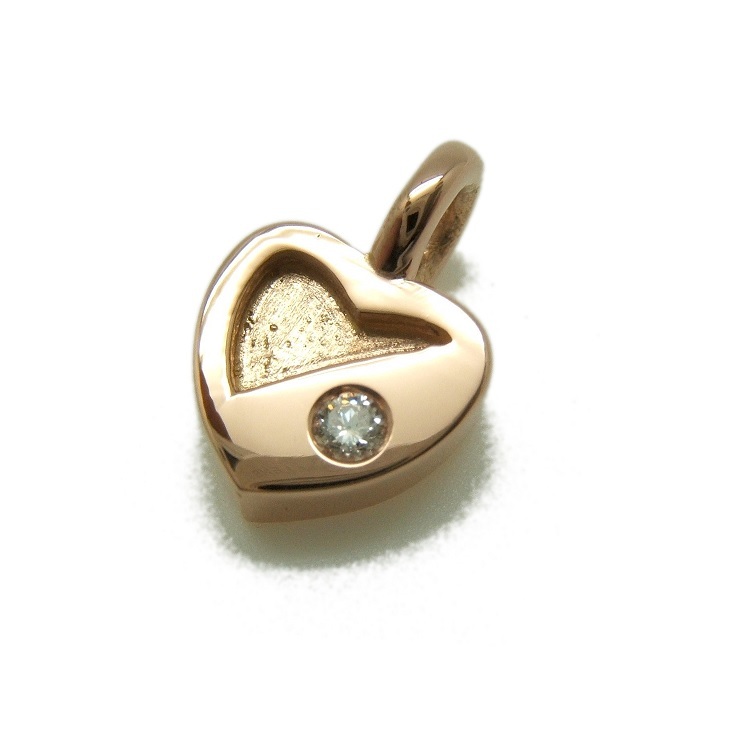 Pendant in the shape of heart on red gold 750/000 with a diamond brilliant cut of 0.035 carat total weight. Measures. 8.5 X 8.2 mm. Piece made by jewelers "master craftsmen."